This home is modern, unique, brand new and it can by yours! " This home is modern, unique, brand new and it can by yours! A beautiful Cape Farm Style home, situated in a cul-de-sac, (NHBRC registered), has distant sea views! 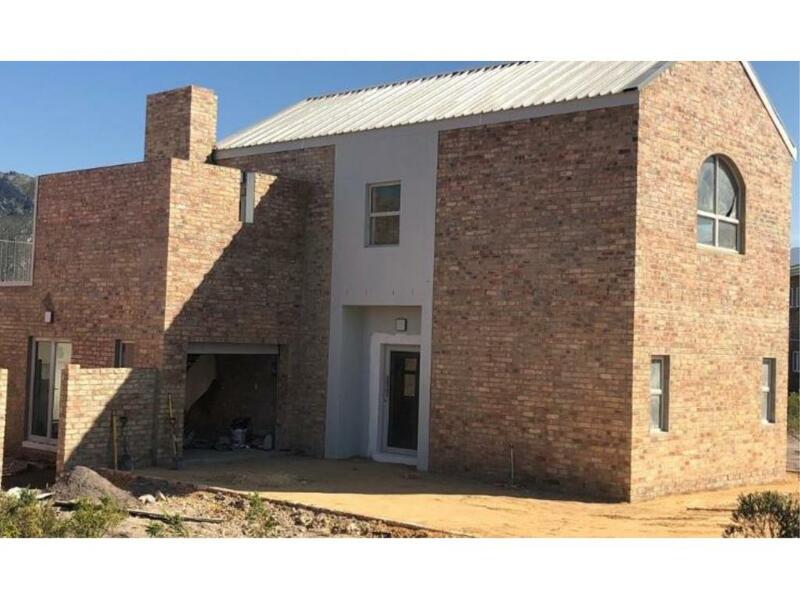 Double storey, three bedroom, three bathroom, architect designed and master built home with modern finishes. This brand new home is highly energy efficient as it comes equipped with modern Bosch Gas geyser, oven and hob. Downstairs: Two modern well sized bedrooms, each with en-suite shower, basin and toilet. Screeded epoxy floors, built-in cupboards, energy saving down lights, modern fittings and fixtures. The single garage, with an electric roll-up door, has a shower, basin & toilet and could be a third bedroom or laundry. Upstairs: Open plan kitchen, lounge and dining room. Kitchen has modern cupboards with granite tops. Doors lead onto patio and outdoor braai which provides sea and magnificent mountain views and makes for perfect, effortless entertaining. Watch the sun set in the west over False bay whilst enjoying your favourite cocktail on the upstairs patio, or, sip on your cup of coffee early morning and stare at nature, gaze over the mountains and see the sun rise to greet the day...... paradise and peace personified. Join us and become part of this special village. This home is modern, unique, brand new and it can by yours!